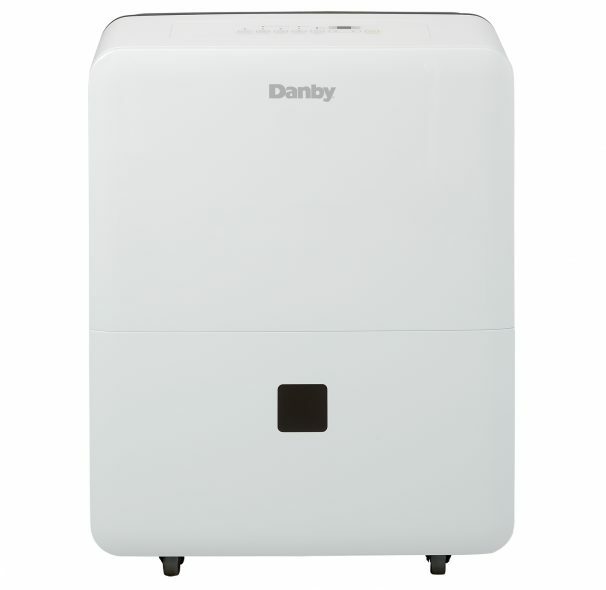 With Danby's 45 pint (21.3 liter) capacity dehumidifier, you won't have to worry about damp or humid basements, offices, or any room in the house again. This unit is perfect for eliminating moisture for areas up to 2,500 square feet. 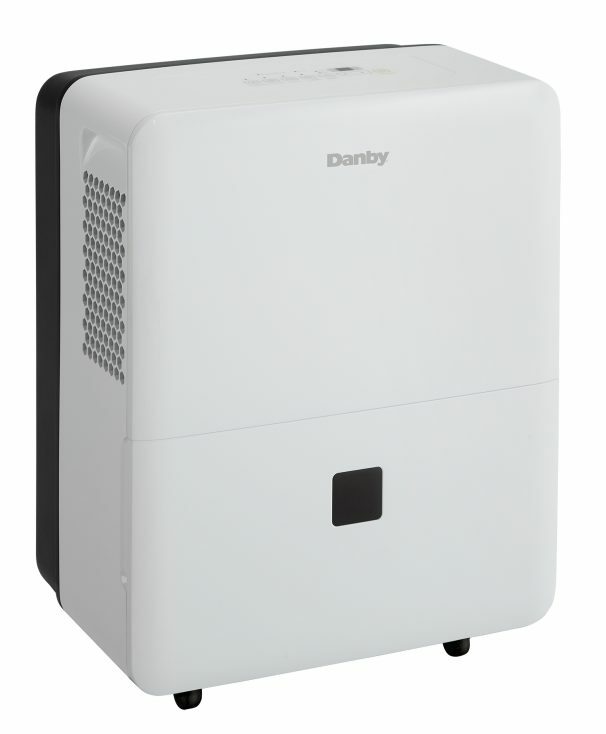 The smart dehumidify function will automatically control room humidity by factoring in ambient temperature. This Energy Star® rated unit will help cut down on electric bills and uses environmentally friendly R410a refrigerant to help you keep a peace of mind. This sleek unit has adjustable settings and two fan speeds (high/low) and electronic controls. This model is equipped with a smart dehumidifying function that allows the unit to automatically control room humidity by factoring in ambient temperature. Its direct-drainage system and removable filter make it simple to clean and its easy-roll castors make moving it from room to room a breeze. Additionally, this unit will continue to run quietly until the temperatures reaches 41F (5ºC), has an automatic de-icer to prevent frost build up and an automatic restart function in the event of a power failure. This model comes with our 2-year carry-in warranty.